For more than 8 years, Go4SC2 Europe has been providing players of all abilities the opportunity to compete against some of the best and up-and-coming players. Featuring two cups a week with the chance to win prize money and ranking points, many of the world's best and up-and-coming players have played Go4SC2 Europe. Thursdays: Just play for points! 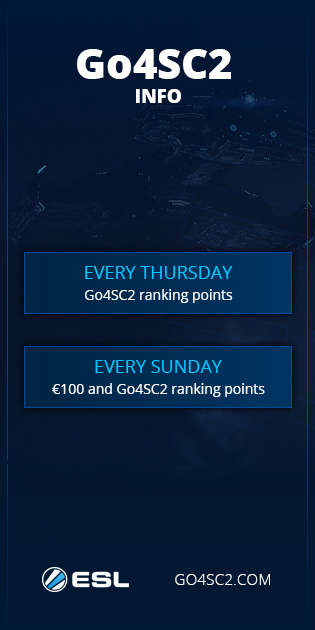 Go4SC2 Europe points are earned by participating and advancing rounds into the Sunday & Thursday cups. For every match you win, the more points you earn. The exact distribution depends on the size of the cup (bigger is better) and Sunday cups are worth more than Thursday cups. The overall Go4SC2 Europe ranking is used for seeding, so the more you play, the better your seed will be in future cups including many other ESL StarCraft 2 cups & qualifiers! 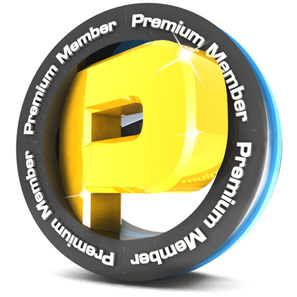 After each edition your performance is calculated and points are added to your Go4 ranking, further you advance into a competition, more points you earn, and higher is your chance to finish the month as the #1 player in our European competitions.